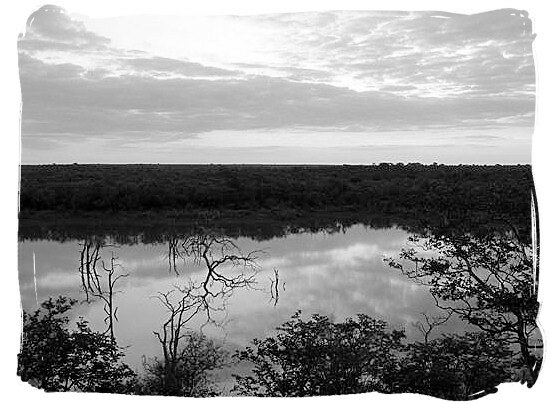 Nestling on a rocky rise amongst “koppies” (hillocks) covered with Mopani trees, Mopani rest camp offers a spectacular view over the Pioneer dam, allowing you to enjoy magnificent game viewing without even leaving the camp. 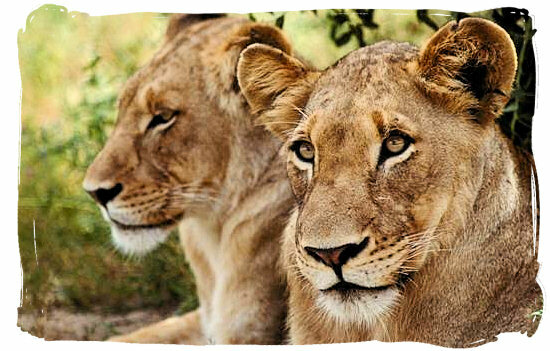 By simply sitting on the lookout platform in the camp, or at the nearby balcony of the ladies bar, you will be treated to a continual coming and going of a large variety of animals such as Hippo, Waterbuck, Impala, Warthog, Elephant, Buffalo and for the lucky ones even Lion. 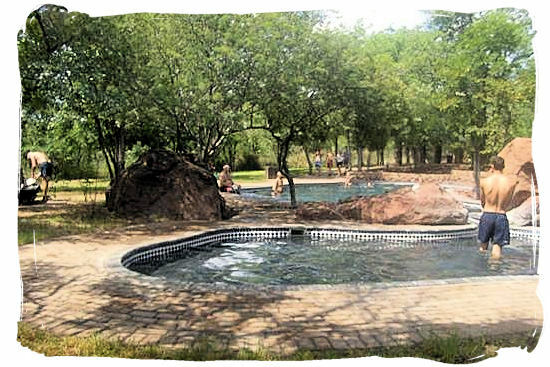 Opened in 1992, it is one of the newest and most comfortable rest camp in the Kruger National Park. 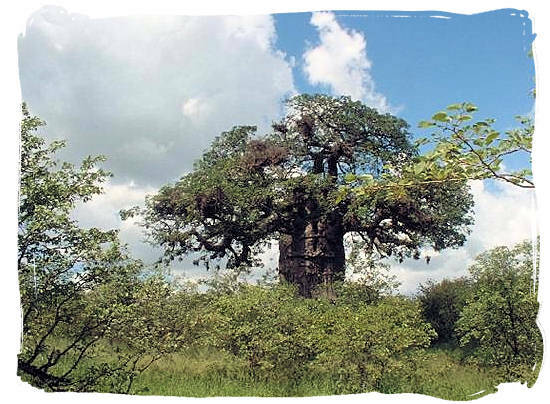 Named after the trees that surround the camp, it was built on the banks of the Pioneer dam about 47km north of Letaba camp and 65km south of Shingwedzi camp. 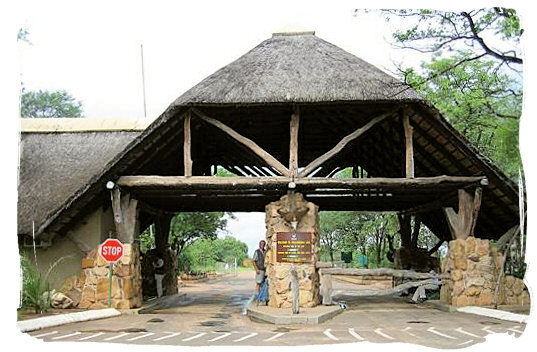 The nearest Kruger National Park entrance gate is Phalaborwa, which is 74km away. Inside the rest camp the indigenous vegetation has been left as found in the wild, adding to the unique atmosphere of the camp. 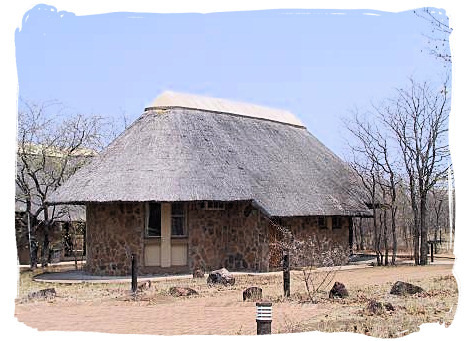 All the buildings at Mopani Camp are built from natural materials such as rough stone, wood and thatching-grass and every effort was made to ensure that the thatched buildings with their rock-faced walls and their surroundings, blended perfectly into the bushveld environment. A trail inside the camp offers many opportunities to spot the prolific and beautiful birdlife during your stay in Mopani camp. Mosque and Wire-tailed Swallows breed in the camp (the former should be looked for at the camp's huge Baobab Tree). Mocking Cliff-Chats should be looked for from the ladies bar. 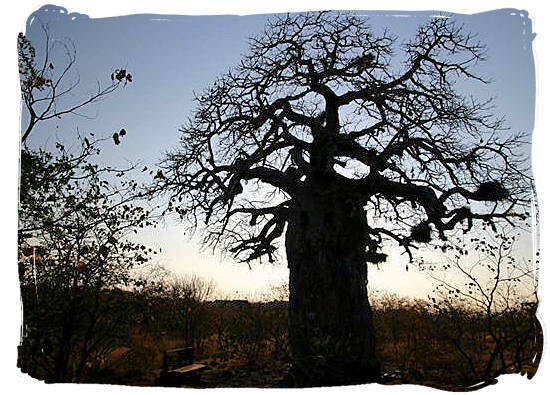 Dominated by a huge gnarled old Baobab tree, the rest camp overlooks the Pioneer dam where a plethora of water birds are to be seen. For the avid bird watcher it is also worth visiting the Shipandani and Pioneer dam Hides, that allow visitors to get very close to the water’s edge and at the same time also get a view from the other side of the dam. Functioning as a bird hide during the day, Shipandani offers sleep-over facilities for the night. It can be reserved at a nominal fee from half an hour before the gate closes until half and hour after it opens open. Go to SANParks.org to view a map of the Kruger National park showing the location of Mopani rest camp, then click on the map to enlarge. Go to SANParks.org to view a map of the Mopani rest camp showing the lay out of the camp itself, then click on the map to enlarge. Visitors to the rest camp can enjoy a wide range of facilities and amenities, from a swimming pool, a shop and a designated area for day visitors, to a walking trail to the Pioneer dam and a lookout platform at the Safari room with its ladies bar, television and fireplace. The rest-camp offers a variety of accommodation in the form of Bungalows, Cottages, Guest cottages and a Guest house. The units have been built from natural materials such as rough stone, wood and thatching grass blending them harmoniously with the African bushveld environment. All units include self-catering facilities and are serviced daily. Bedding, towels and soap are supplied. 43 x 4-bed units (2 single beds and 2 bunk beds in alcove), fully equipped with one bathroom, veranda with kitchenette and outside braai (barbecue). 2 x 4-bed units, accessible to wheelchairs, (2 single beds and 2 bunk beds in alcove), fully equipped with one bathroom, veranda with kitchenette and outside braai (barbecue). 12 x 4 bed units (1 room with 2 single beds and 2 sleeper couches in the lounge), fully equipped with two bathrooms (one en-suite), veranda with kitchenette and outside braai. 45 x 6 bed units (3 bedrooms with 2 single beds in each), fully equipped with two bathrooms (one en-suite) kitchen, lounge/dining area, large veranda and outside braai. Xanatseni Guest House Sleeps 8, with 4 bedrooms, (1 room with a double bed, with 2 single beds each in the other rooms). One of the bedrooms is accessible to people in wheelchairs. This is a large luxury unit in prime position with a view of the dam. It is well-equipped with kitchen (with microwave oven), multiple bedrooms and bathrooms. Limited channel DSTV television is provided. Sleeping cottages are loose standing from the lounge/dining area. There are also "braai" (barbecue) facilities. 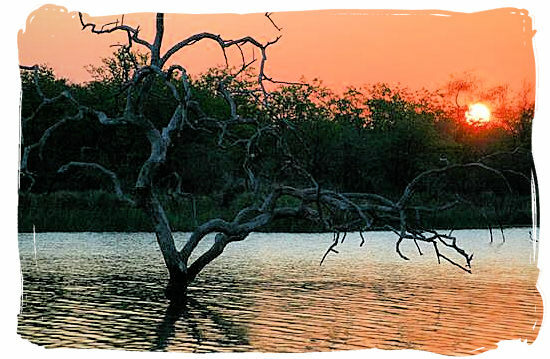 Scenic drives along the Letaba river towards Letaba camp and Engelhard dam are very exciting. After your guided game drive or walk, you can find welcome relief from the bushveld heat in the swimming pool and end your day’s activities with a delicious bushveld “braai” (barbecue) in the boma. A guided night drive is a "must do", enabling you to take part in the nightlife activities of the Kruger National Park's wildlife. 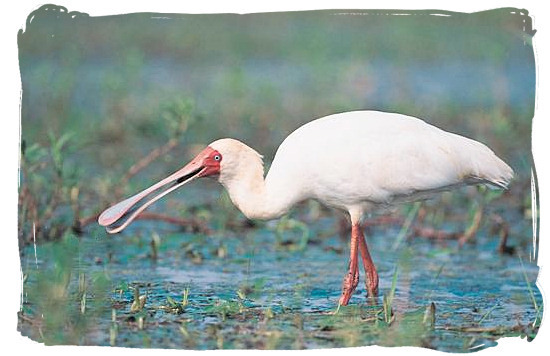 For the eager bird watcher there is a sleepover hide at Shipandani which can be reserved through reception (6 beds). For those interested in history and culture, a guided tour to the nearby 400 year old Shilowa archaeological site will be quite rewarding. 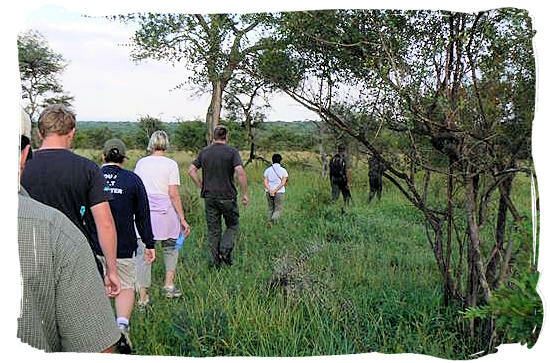 Other activities include wildlife film shows in the evening, a nature trail around the camp and The Pioneer bird hide amongst others. All bookings, as well as further details about these activities are available from the reception at the rest camp. The closest airport to the camp is Gateway Airport situated at Phalaborwa, approximately 3km from the Phalaborwa entrance gate into the Kruger National park. There are daily scheduled flights between Gateway a nd OR Tambo International Airport in Johannesburg. The camp is approximately 74km away from Phalaborwa gate, so you should allow for a further 2 hours for the drive to the camp. 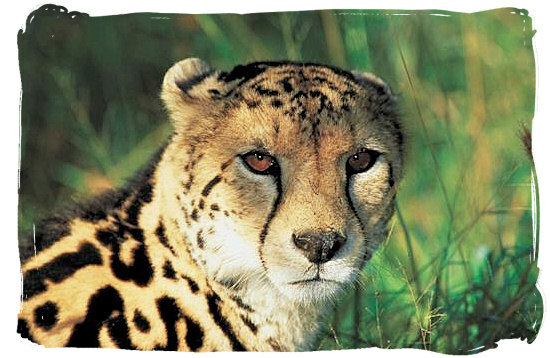 However if you want to enjoy the game viewing possibilities, give yourself more time. Travelling from Johannesburg or Pretoria, take the N1 toll-road to Polokwane (Pietersburg). 40 km before Polokwane turn right onto the R71 and head for Tzaneen. After Tzaneen continue with the R71, heading for Phalaborwa and the gate. Allow between 6 to 7 hours for the trip to the gate. 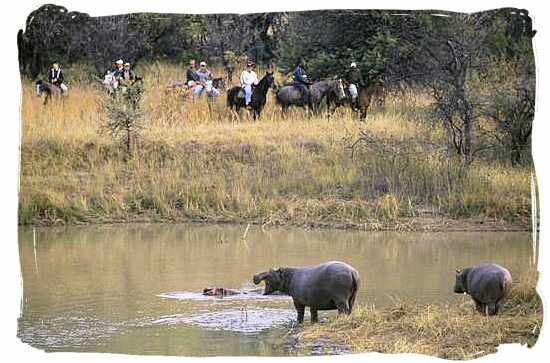 Mopani camp is approximately 74 km away from Phalaborwa gate, so allow about a further 2 hours for the drive to the camp. However if you want to enjoy the game viewing possibilities, give yourself more time. Go to SANParks.org to view a monthly calendar with accommodation availability details of Mopani rest camp. It's the Accommodation availability page of the South African National Parks (SANparks) website, for Kruger National Park’s Mopani rest camp. Go to SANParks.org to book your reservation for the Mopani rest camp in the Kruger National Park on the official reservations page of the South African National Parks (SANparks) website. Go to SANParks.org to view the tariffs applicable for the Mopani rest camp on the official tariff page of the South African National Parks (SANparks) website.